Willem Sadler began his love for performance at the age of 8, dancing at the Joy of Dance Centre. Dance School Showcases, School Talent shows and Local Performances gave Willem the “bug” to perform. Willem was known as “that boy who dances” and he took every opportunity to be in front of a crowd. Winning the yearly School Dance Awards and the Annual Talent shows, he began to build the confidence to keep moving towards his dream. Starting in 2014, he was the youngest member of the Joy of Dance Teen Competitive Hip-Hop Team, where he has remained for 3 years. He was quickly recruited to be a part of the Artists in Motion Dance Company when he was only 11 years old. Through this company he has had the opportunity to be a part of professional productions including Choreo Ball and Independent Shows Produced by Choreographer Shameka Blake: “Choices” “1,2,3,4” and “Nowhere”. Willem also was lucky enough to be part of a dance performance troupe that performed daily at the Pan Am Award Celebrations in 2015 and opening for a recent Blake McGrath “I Am” tour. Currently, Willem is a grade 10 student at Rosedale School of the Arts focusing his training in the performance areas of dance and musical theatre. He is a leader/choreographer for the school Hip Hop Crew and has aspirations to be a part of the Dance Company this year. Outside of school hours, Willem trains in a variety of styles including hip hop, lyrical, contemporary, ballet, and ballroom with some of Toronto’s finest dancers: Shameka Blake, Derrik Robinson, Amanda May, Lauren Lyn and Esie Mensah. 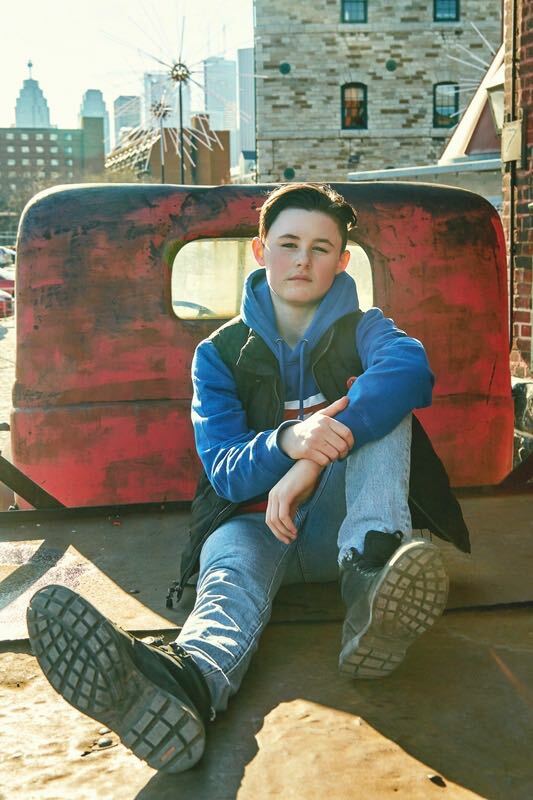 Spring of 2017, Willem was able to professionally share his acting, singing, and dancing talents in playing the part of Luke in Mirvish’s production of Baz Luhrmann’s “Strictly Ballroom” at the Princess of Wales Theatre. This was Willem’s first experience with professional theatre and he can’t wait to have the opportunity to perform on stage again soon. Last fall, Willem made is debut on film as the principal character in a short film “Mother’s Day” created by a young filmmaker Alexander Desouza. This film has been accepted into a number of European Film festivals for 2018/2019 and we look forward to other’s viewing this sweet short film. Currently Willem has been training in acting classes through Armstrong Acting Studios where he has graduated to the Core Level 3 Classes. He is thoroughly enjoying training in multiple performing genres and is continuing to be dedicated to becoming a well-rounded performer and artist. Willem is excited to move towards more performing challenges and opportunities and grow as an artist. He feels that he was born to perform and feels grateful to be a part of an industry where he can live out his passions.